The main highlight of the Volkswagen stall at the 2016 Geneva Auto Show will be a new compact SUV. The brand believes that an affordable SUV will be a trendy alternate to the compact class of cars. 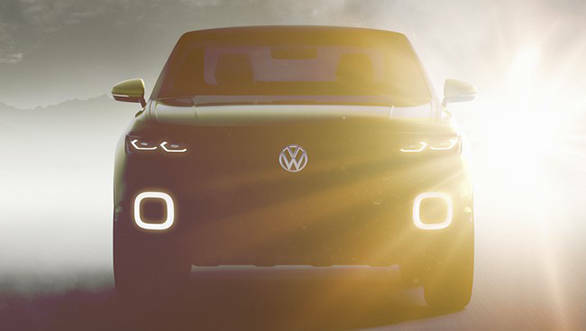 Just before the concept is showcased at the motor show, scheduled for March, VW has unveiled the images of the upcoming crossover. The crossover is expected to be smaller than the Tiguan SUV. 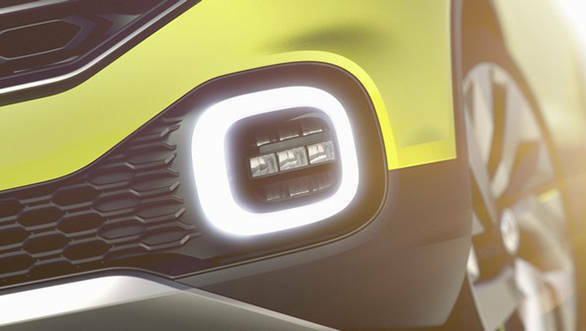 The pictures show a concept that gets a high bonnet line, sleek radiator grille, LED daytime running lamps and fog lamps. The ORVMs get turn indicators embedded in them. The muscular bumper gets a skid plate underneath. VW claims that the design of the crossover gets an aggressive SUV like design. In addition, the interiors of the crossover will hardly have any switches similar to the cabin design of the BUDD-e concept. Based on the modern MQB platform, the new compact crossover might share its powertrain options with the Polo hatchback. 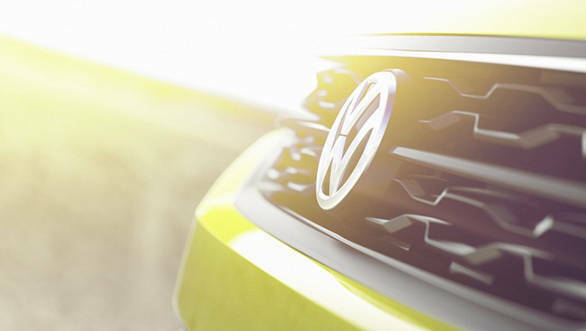 Volkswagen has already announced canning that Taigun SUV project and instead working on a new Polo based hatchback. VW might launch the production version of the crossover by late 2017.